Robo Advisors are the next big thing in easy financial planning. So big, in fact, that we imagine traditional financial planners are losing sleep over the thought of Robo Advisors taking center stage. This is because they give you high returns in exchange for a minimal (or no) fee, and they provide you with more investment management tools. Whether you’re a novice investor with limited amounts of capital, or have a high net worth, a Robo Advisor might be perfect for your investment plan. In the world of financial planning and investments, Robo Advisors are quickly becoming the preferred investment choice for those who are not intimately familiar with financial jargon such as dollar cost averaging, bonds, ETFs, dividend reinvestment or Blue-Chip index. They are also ideal for investors who don’t want to pay the astronomical fees for a human advisor. Most Robo Advisors charge a small fee for their services, and some don’t even charge anything at all! Robo Advisors also provide a more flexible approach to financial planning. A beginner investor might want a fully-automated, hands-off solution, while a more seasoned investor may prefer a more flexible, hands-on approach for your investment portfolio. Whichever you prefer, there is a Robo Advisor for you. With Robo Advisors you don’t need to consult an expensive financial advisor or spend weeks reading hundreds of pages of confusing investor-speak. You don’t even need to know the best investment strategy for your demographic to reap high returns on both long-term or short-term investment portfolios. Robo Advisors do all the dirty work for you. Considering that a human financial advisor can charge an annual fee of 1-2% of total assets, a Robo Advisor will only cost you around 0.25% to 0.50% (some Robo Advisors even offer a Free service). This low or no-fee service alone can save you thousands of dollars. Robo Advisors are automated online wealth management tools. By utilizing a set of algorithms (which many expensive human financial advisors use themselves,) they determine the right investment portfolio to match your goals and preferences. By answering a set of questions about your financial goals, the system will generate investment advice based on your answers. You can then choose to allow the Robo Advisor to automatically manage your portfolio for you. Depending on the service that you choose, you can either leave it alone, or you can take a more hands-on approach. The choice is yours! The Robo Advisor will also monitor your investment style and use the data for future investment opportunities. Read more on our page dedicated to answering the question, What Are Robo Advisors? WHICH ROBO ADVISOR IS RIGHT FOR ME? Not all Robo Advisors are created equal. 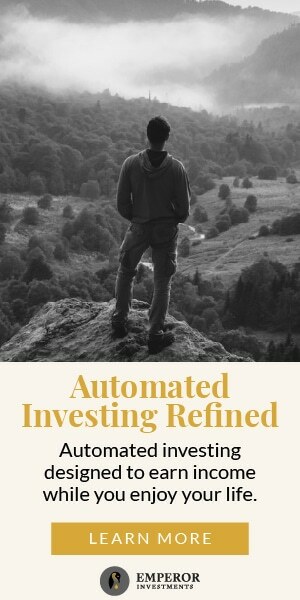 There are those that are perfect for someone with a lower initial investment who wants a more hands-off or automated approach like Wealthsimple, while other Robo Advisors are specifically designed for investors with a larger amount to invest and need a more personal approach such as Vanguard Personal Advisor Services. That’s why our goal at BestRoboAdvisors.org is to provide comprehensive reviews of the best Robo Advisors so you can choose which automated investing platform is a great match for your investment portfolio. Robo Advisors open doors to small investors, giving them access to tools previously available only through traditional methods. Access to advanced investment techniques like Tax Loss Harvesting with a much smaller initial investment. The automated system means lower transaction fees, saving you money from the very beginning. Lower management fees means big savings for big investors. Low barrier of entry; many Robo Advisors have little or no minimum investment amount. Protects investors from avoidable risks such as greed and conflict of interest. Which Robo Advisor has the lowest fees? Which is best if you have a smaller amount to invest? What Robo Advisor is best if you have more than $100,000 to invest? Which are the best advisors if you live in Canada? Savvy investors who are new to Robo Investors need many things to consider before taking the plunge, but we’ve made the process quick and simple. We also have the most comprehensive Robo Advisor reviews so you can read and decide for yourself which among the many digital advisors are best for you. When the concept of an automated investing was first introduced, we were skeptical that computer algorithms could even come close to providing the same level of returns as a human financial advisor. But when the reports came in, Robo Advisors showed that they are just as good as financial advisors in managing portfolios – sometimes even better than the “pros”. It was then that we knew we had to get involved, and now we’re bringing you our expert advice on the best Robo Advisors on the market. Our expert advice follows countless of hours of research and dropping significant amounts of our own money into investments to test out the best Robo Advisor services. That’s when BestRoboAdvisors.org was born. This is the one place where you can go and find non-biased information so you can make the best decision for your financial future. Read more about us here. What about Other Robo Advisors? Different Robo Advisors use different methods to determine how your portfolio should be handled, similar to personal financial advisors. Additionally, all of the automated investing services charge different fees depending on the level of the investment or the features that you choose. This is the reason why it’s so important to read our guides, comparisons and reviews so you can figure out which Robo Advisor is best for your hard-earned money. All of the expert information on our site is meticulously compiled to help you make the best move for your financial future.